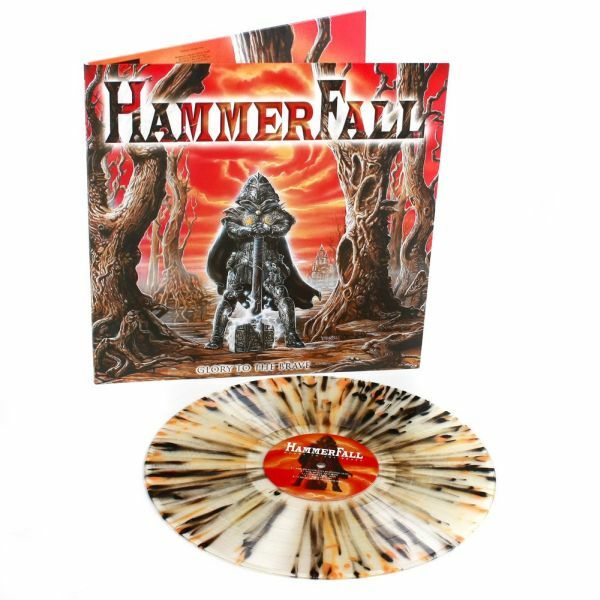 HAMMERFALL - GLORY TO THE BRAVE GLORY TO THE BRAVE SPLATTER VINYL (LP) | Online Shop | Wizard LTD. Album: "GLORY TO THE BRAVE GLORY TO THE BRAVE SPLATTER VINYL (LP)"
"Glory to the brave" is the debut album by Swedish power metal Gods HAMMERFALL, originally relased in 1997. You can expect a combination of fast, raw, blazing, heavy riffs, followed by fast drum work, orgasmic guitar melodies, and harmonies, fast guitar solos, soaring vocals and incredible musicianship. In 2005, "Glory to the brave" was ranked number 295 in Rock Hard magazine&apos;s book of The 500 Greatest Rock & Metal Albums of All Time.